Natasha encompasses over a decade of experience in broadcast media, but her love for this field goes back as far as she can remember. As a child she didn’t play house, instead, she created her own imaginary talk show. Guests on this ‘show’ included pets, dolls, and extended family members – no one was safe. She knows the importance of communicating with an audience and telling the stories that people want to hear. She is an active part of her community, an advocate for the underdog, and a passionate leader. Her experience as a producer, journalist, writer, mother, and communicator propelled her to find her calling: public relations. PR is about people and her love for media has always been socially driven, fueled by the stories she uncovers and the desire to share them. Her hope is to make a positive impact on the community her children are growing up in while staying true to her passion. She continues to host a local magazine show, part-time, showcasing local arts, culture, and food. Her goal is to highlight human interest stories of local organizations, charities and people who make #KWawesome. 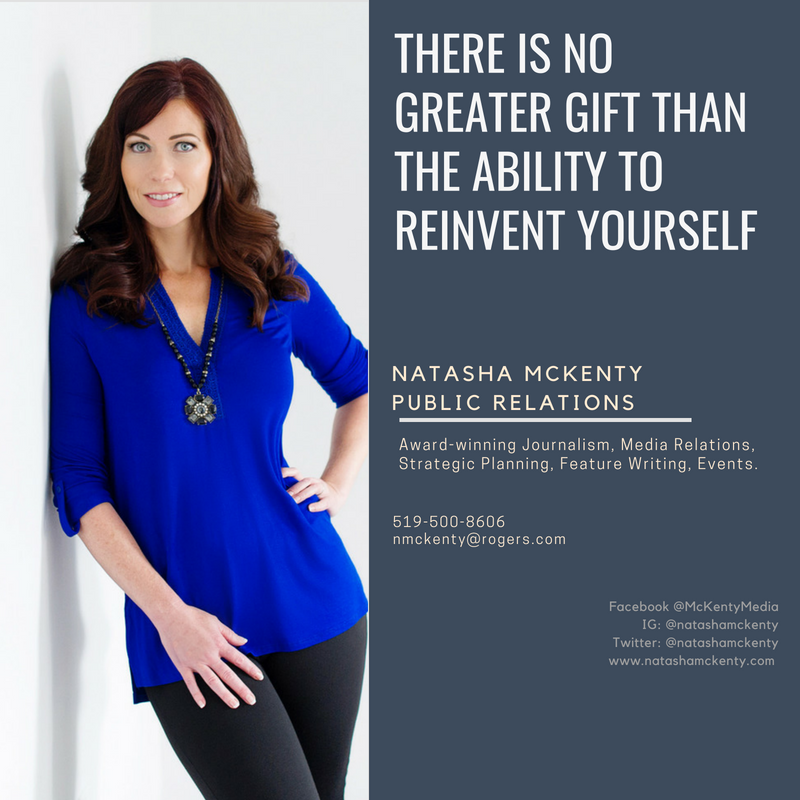 Natasha created McKenty Media as an opportunity to combine the transferable skills she cultivated during her career in television broadcasting with her recent education in PR. In a world where newsfeeds are filled with negativity, there are many positive narratives worth telling. If PR was described using an emotion it would be empathy. Reputation, like trust, is earned and can easily be lost. A PR professional is there to help you define your demographic, understand their needs and build a relationship that mutually benefits both parties.